A year and a half ago when I first began to have faith that I could see Jesus while in this life, I began to learn more about some of the things required of me so that I could have that experience. In essence, God requires that I become pure and holy. Over the following few weeks and months my desires for becoming pure turned into hungering and thirsting and I desired it more than anything else. One morning I prayed, saying, "Please help me get to that point the fastest, shortest way possible. I am willing to give up everything for you to help me!" Little did I know that that was exactly what would be required. God really requires us to surrender everything to become pure and stand confidently in Jesus' presence. Lately I have been thinking about the concept of surrendering and I have learned that sanctification requires three main kinds of surrendering (although I am not suggesting this is an exhaustive list). When we want to walk the path back into the presence of Jesus, it requires us getting to the point where we are willing to surrender and sacrifice everything to have that experience. After I began hungering to become pure and surrender all, I found that traveling on this path is very different to what I had previously envisioned. It has been filled with more discomfort, anxiety, and pain than I could ever have imagined, but at the same time I have never felt so loved by God. I have never felt so much comfort from Him. I have never felt so much joy and so much peace. I have never felt closer to Him. Even though when I desired to give up everything to be in Jesus' presence, I had no idea what lay ahead, I simply knew that regardless of what it entailed, I would be willing to do it. 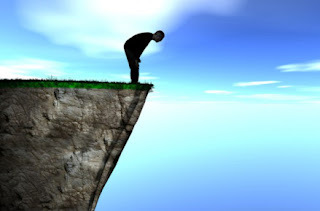 In some ways that felt like jumping off a cliff, knowing that Christ would be at the bottom, ready to catch me. Over time I came to feel immense gratitude for the heartache and the discomfort, because I knew that this is the only way I could become pure. Is it fun or easy? Certainly not, but the blessings are immense. You may feel like you want to become pure and you really want Jesus to appear to you, but it's scary. Or, you know the path is painful and you'd rather do it without the pain. It may feel like standing at the top of the cliff and looking down. You may wonder, what if I tell God I will surrender everything but it is too hard or I know there are things I don't want to lose? 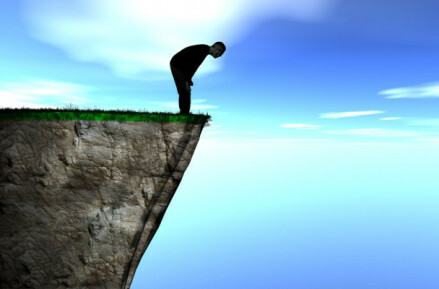 Jumping off a cliff can seem really scary and requires faith. It is hard to desire the pain when we don't yet have faith that God will reward us for our sacrifices. Obtaining that faith requires revelation from God that help us on the path and will reward us. Without obtaining that revelation for myself, I wonder how far I would continue on the path. Yet, the further I travel on the path, the greater my faith that God will deliver on His promises He has made to me. As I started on the path of sanctification, God showed me my biggest weakness. I knew it was a problem but I would never have anticipated that it was greatest downfall. As I have begged and pleaded with God for greater understanding and more experiences to help me get rid of it, I have been shown how intertwined it is with other weaknesses I have. At the same time, God has shown me a myriad of other weaknesses which I have to overcome in order to become pure. Each time a new weakness is revealed, it is painful to recognize. And, then as I have experiences to help me overcome it, it hurts. It hurts because I have to let go of my beliefs and my desires. Even though I said to God I would surrender everything, I find God asking me to sacrifice this or that and it is harder than I imagined. It hurts to sacrifice the beliefs I have about myself, others, relationships, parenting, what is required for celestial glory, and just life in general, which I cling to. Letting go of these feels dangerous and scary. In many ways I feel like I am hanging onto a dead tree branch on the edge of a cliff. 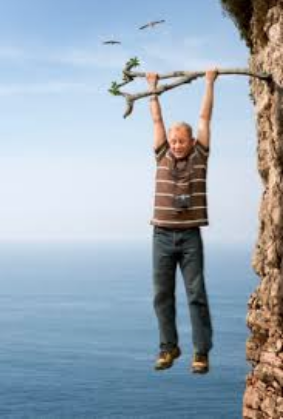 Knowing my belief is false is like realizing I'm hanging onto a dead branch that could break at any second, but it is still frightening letting go. Through my previous experiences though, I have come to know that Jesus will always be there to catch me. I am learning to trust the Lord more fully through these experiences. I have come to see the thing I have set my heart on and that the Lord is asking me to surrender that thing. I can see how he has given me several trials and tests in the past to help me and I can discern I have several more to come. As I was thinking about this yesterday, the Lord brought to mind the experiences of Abraham and how Abraham had set his heart on having a son. Throughout his life he had many, increasingly harder trials in order to help him be willing to surrender his greatest earthly desire. Through Sarah's infertility, Abraham had to learn to let go of this desire and learn to accept God's will above his own. Then, one day he was given a son through Hagar (Genesis 16:15). I imagine he must have felt great joy at now having a son. Sometime after he was told he would have a son through Sarah and Abraham felt so much joy he laughed (Genesis 17:17). Abraham's faith was again tried when Sarah was taken by Abimelech (Genesis 20). He had to surrender his desires to the Lord's will. Finally when Isaac was born, Abraham's joy must have been very great (Genesis 21:2). Soon after that, however, Sarah wanted Hagar and Ishmael gone and "And the thing was very grievous in Abraham’s sight because of his son" (Genesis 21:11). The Lord told Abraham again to surrender his will and let them go. I cannot even imagine the pain in Abraham's heart as he sent Hagar and his son away, but this experience was part of Abraham learning to surrender his desires to those of the Lord's (Genesis 21:14). Then, Abraham's biggest test of surrendering came when he was told to sacrifice Isaac (Genesis 22:2). All the experiences he had had previously had prepared him for giving up what he had set his heart on: having a son! He had received promises from the Lord and Abraham had to trust that the Lord would deliver on his promises. As we know Abraham showed that he was willing to surrender every affection of his heart for the Lord, even that which was most precious to him. Although Abraham already had a pure heart and had seen Jesus many times, through his surrender he was able to obtain greater blessings than previously available to him. In the end, we have to learn to give up all that we set our heart on, whether it be the things of this world, our false beliefs, our desires, and the things we love. God wants to know if we love Him more and if we are willing to surrender all for Him. Everything Christ did in His life was the Father's will. When we follow the Father's will perfectly we will not and cannot get angry, lie, gossip, feel impatient or frustrated with others, and commit various other sins. The Father's will is always for us to love others in every thought, word, and action. When we sin it is because we are choosing our own will. Only as we surrender our own will to that of the Father's, can we become sanctified. Many in the scriptures have had significant experiences, including seeing Jesus and being taken up into heaven. Others had visions and received great prophecies. You may at times examine your life and see how hard you are trying to do what you believe is right, yet you aren't having these same experiences. You may see yourself as trying harder than anyone else around you. Not seeing much fruit as a result of your efforts may lead you to feel confused or despondent. Think back to when you were in school. Imagine being given an assignment and immediately you begin to work at it. You get up early and stay up late in order to work at it all day. You make many sacrifices to get this assignment completed. Eventually you are done and you hand over your finished work to your teacher. She then returns it giving you a failing grade. "But how is that possible?" you ask. "I worked so hard, giving up everything to get this done." 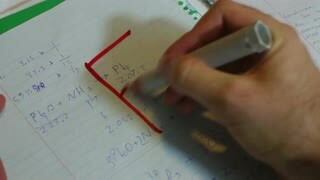 As you question the teacher why you did not obtain the promised results for completing the assignment, she shows you how you did not do what what was required and instead did what you wanted to do. You had been distracted by what you thought was best. Each of us desire the rewards promised in scripture, including returning to the presence of God. Many of us desire to have the experiences spoken on in scripture, such as hearing the clear voice of God, being in Jesus' presence, being taken up to heaven, seeing visions, and so on. Each of these blessings are based on laws (Doctrine and Covenants 82:10). If you keep the laws, you will obtain the blessings. Any deviation from keeping those laws will result in missing out on the blessings. When we aren't entertaining angels or hearing God's voice more clearly, it is because we have deviated from His path and we need to repent. Beg God to show you how you have erred. Jesus understood this principle and all His words, actions, desires, and thoughts were the Father's will. He never once deviated from God's will because He thought it best. He only ever did exactly what the Father wanted--nothing more, nothing less. In other words, He never did something that what not the Father's will. As a result He obtained all the Father could give Him. This was true surrender! 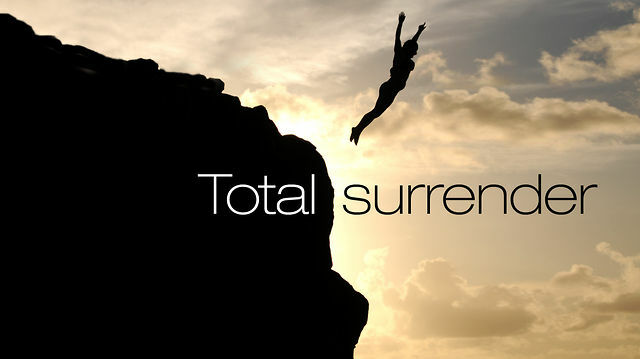 Surrendering is a key part of sanctification. We have to be willing to surrender both the things of this world which we have set our hearts on as well as ourselves and our own wills. Surrendering is also needed to start walking on the path of sanctification. As we seek to become like Jesus and be in the Father's presence, we have to surrender ourselves to taking the shortest, fastest, most painful way, knowing that heartache is a necessary part of achieving the blessings we are after. Surrendering to God always involves a deep hungering and thirsting for truth. This is not truth about whatever interests us. This is truth about our impure hearts. It is truth about our fallen natures. There are so many things in our hearts that we aren't currently aware of, but as we surrender to God, we become open to whatever He might tell us in whatever way. He will instruct us on how to repent and what to sacrifice. Eventually we will get to the point where we are receiving regular revelations regarding things we did not know about ourselves. As we work on repenting of these things, God reveals more. Before you are at the point where God is giving you this sort of revelation consistently, be careful about doing those things you think are best and what you think God probably approves of. The only way to be filled with greater amounts of God's will is to rid ourselves of our self-will. If we find we are lacking understanding of God's will, it is possible that we are blind to how much of our self-will is in us. We can only have as much of his will as we have eliminated our own desires. Recently the Lord revealed to me the root of several of my weaknesses. It encompasses a series of false beliefs I possess. God revealed the truth and it is now up to me to let go of the false and embrace the truth. But it is hard! My heart aches. Yet I know that as I let go and assimilate the truth into my way of thinking and acting, I will overcome the related weaknesses. I have come to learn though that letting go of these beliefs take time. As I pray and am filled with the mind of God, I feel filled with love and I lose my desire for those false beliefs and weaknesses. Then as I go about my day I find my heart returning to where it feels safe and clinging to my false beliefs. Again, I have to pray and change my heart. One day recently I felt a bit despondent because I felt like I was making no progress with these weaknesses. I could see clearly that they were still there. As I asked God what I needed to do to make progress, the Spirit told me to surrender daily. I was reminded of Paul declaring, "I die daily." (1 Corinthians 15:31) My heart felt hope and I am continuing to surrender my false beliefs daily. I know that over time they will be less ingrained in me and one day I will no longer have those as part of my belief system. Throughout this process I have felt God's help the entire time. I have never learned more about myself and about God's divine nature. I have never felt more loved. In the end, each of us have to surrender everything to God if we are to receive the Lord's blessings spoken of in scripture. Examine your life and determine what you have yet to surrender. Ask the Lord to enlighten your mind. Know that this is a necessary part before becoming pure in heart. If you desire to receive greater blessings than you currently enjoy, ask God to help you surrender all the things you have set your heart on as well as your self-will. Ask Him to give you faith in His promised rewards. Hunger to know His will and be willing to endure every heart ache to become pure. In time, through your diligence you will find your faith increased and closer to God than you have ever felt before.